A few years ago, Eiríkur had written for The Reykjavík Grapevine about a poetry face-off involving the Icelandic word for moon. Eiríkur’s article was later published in a collection of his poetry essays called Booby, Be Quiet! (Poesia Helsinki, 2011). With ‘moon’ and ‘wrist’ positioned near each other through Icelandic off-rhyme rhyme-off, I watched the full-to-waning frost moon surge over Mount Esja at 18:03— Reykjavík’s lights blocked by wrist. 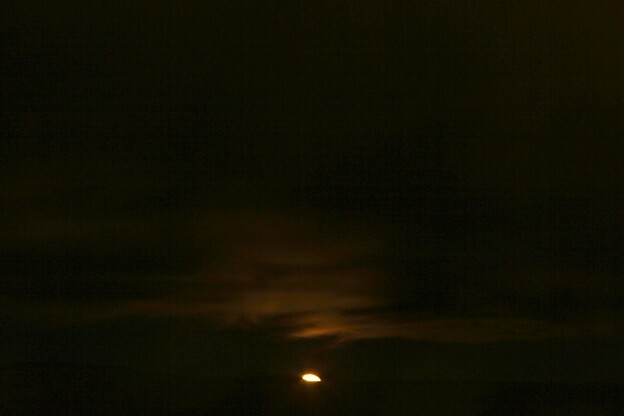 My camera set, I snapped the moon’s ascent as it lifted from mountaintop to slip behind low snow-cloud cover. Moon, wrist, frost, click. Tungl. Tunga, tongue: a tip.